In 1977, Spain’s first democratically elected congress after the end of the Franco dictatorship passed an Amnesty Law that granted pardons for political crimes but also exonerated perpetrators of international crimes, including war crimes, crimes against humanity, and genocide. More than 40 years later, Spanish society still struggles to navigate the polarized political, judicial, and social debates on how to deliver justice for these crimes. More than 100,000 cases of forced disappearance remain unresolved and a large number of mass graves have yet to be exhumed. Families of victims who were murdered or killed extrajudicially continue to wait for some measure of justice for their losses; victims of torture live alongside their torturers (some of whom have been awarded military or state decorations) in the same neighborhood. During the dictatorship, the official state apparatus organized and covered up the theft of an untold number of babies from their mothers, arguing political and moral reasons for doing so; the practice continued into the 1980s and 1990s, having become a profitable human trafficking business. Despite the establishment of a successful political democracy, the country remains torn between two narratives. Numerous streets, monuments, and squares still commemorate bloody episodes from our recent history. Efforts to rename or rededicate these public spaces always seem to bring tensions to the surface. Dealing with our violent past is a complex and long-term process: Decades after these crimes were committed, the first criminal indictment in the cases of stolen babies has only recently gone to trial in Spain. 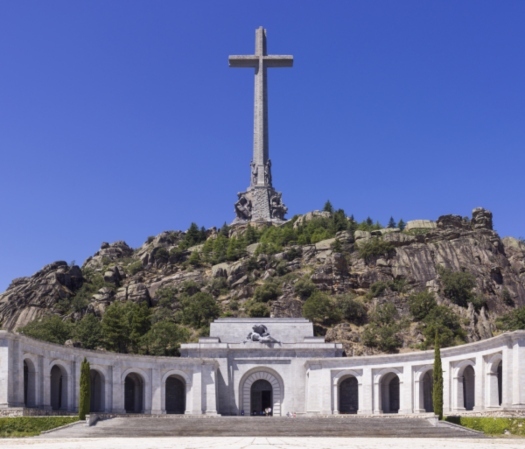 It coincides with the very possible removal of the Franco’s remains from the sumptuous basilica in the massive Valley of the Fallen memorial outside Madrid, where the dictator was buried in 1975 and honored for years. The debate on the memorialization of victims of fascism at this site and others around the country has been reignited with new energy and a sense social ownership coming from the younger generation. Read more about Spain's plans to remove Franco's remains from the Valley of the Fallen. Read more about the first criminal trial in the cases of stolen babies.